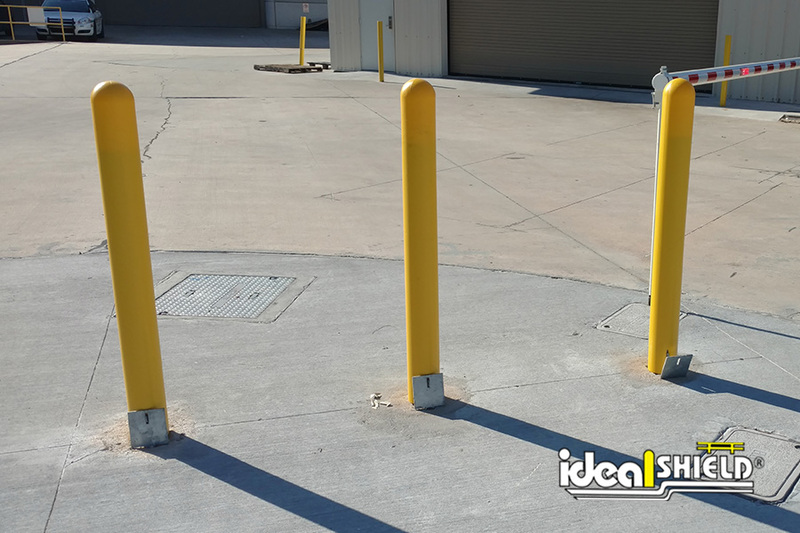 Ideal Shield’s Removable Locking Bollard combines the luxury of convenience with the protection our customers have relied on for over twenty years. 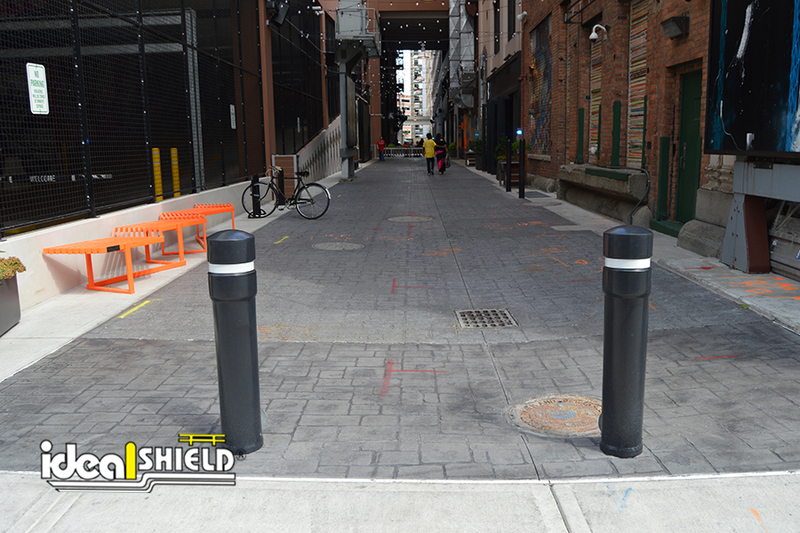 Now designed with a self-closing lid to ensure pedestrian safety after removal, this bollard is the ultimate security solution. Removable bollards can be used along with fixed bollards to create a temporary security barrier. 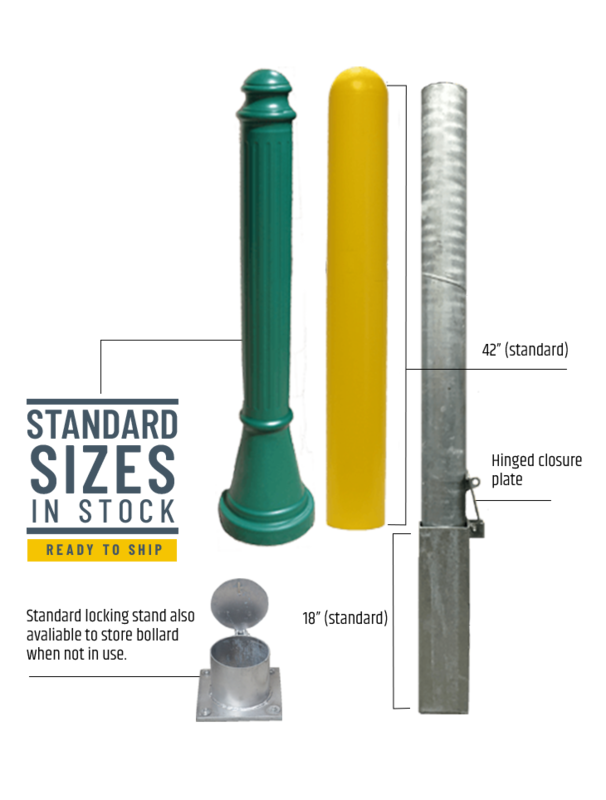 Discover the ease with which you can install and remove these new bollards, making them ideal for areas requiring restricted vehicle access. 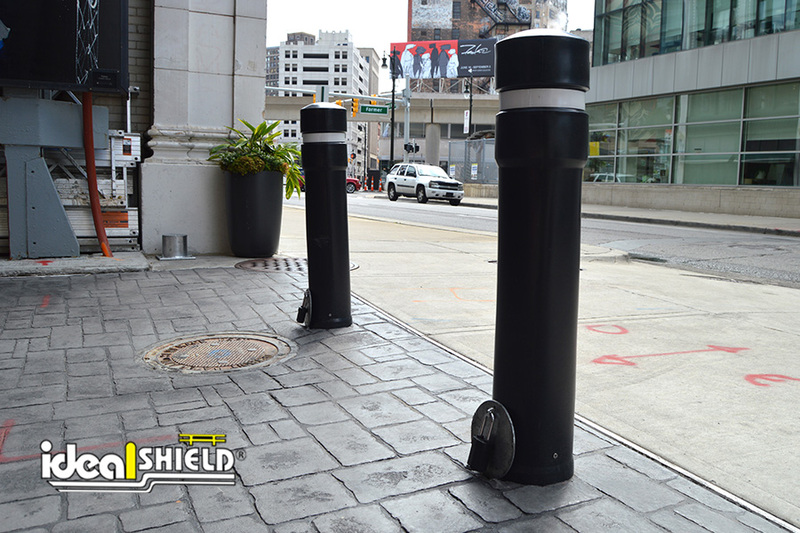 As with all of our bollards, Ideal Shield’s Bollard Covers fit securely, are available in any color, and can be customized to meet any branding needs. 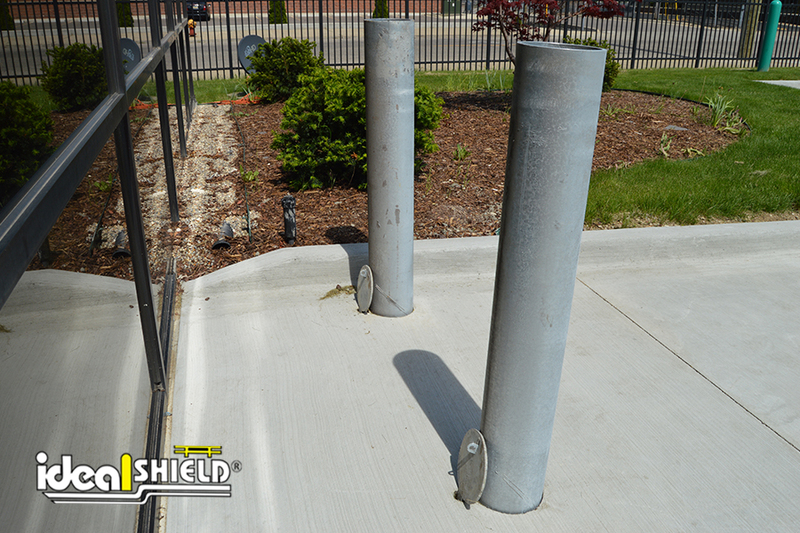 The Ideal Shield Removable Locking Bollard also comes with the option of a stationary stand. Our stationary stand offers customers the convenience of retaining an elegant appearance when extracting the Removable Locking Bollard. Bollard Covers available in standard colors. Any color available upon request. When would I need a removable locking bollard? When you need an an area blocked off (like an alley, pathway or trail) but need to allow temporary access. You may need to allow delivery, emergency, or maintenance vehicles for small periods of time, but most of the time the area needs to be blocked off. Is it better to use bare pipe or galvanized pipe? Although we offer both, we highly recommend the galvanized unit. Through galvanizing, we are able to prevent the unit from rusting. If rusted, bare pipe will rust to the bare floor sleeve and will no longer be "removable." What bollard cover comes with the removable locking bollard? 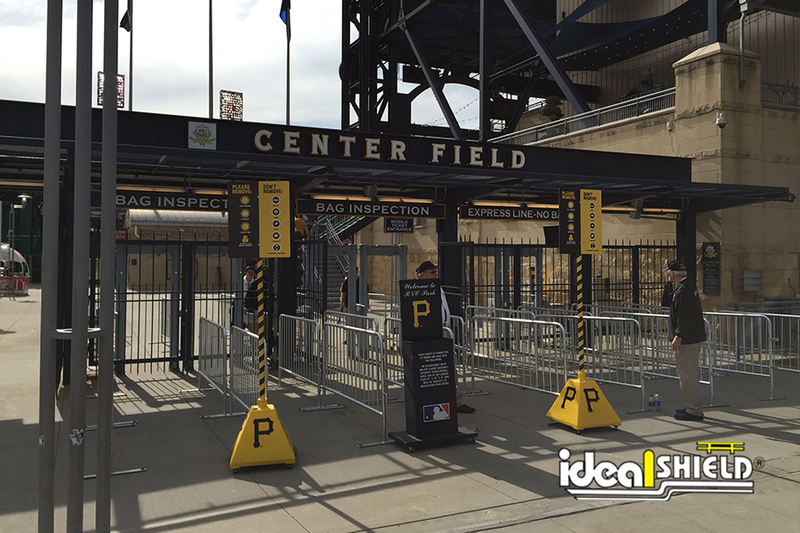 The unit comes with an 1/8" yellow sleeve, but any other bollard cover can be substituted! Please note that there may be a surcharge for different covers.